When I want salad but am in no mood to chop CHOP chop CHOP chop a thousand different vegetables, I choose a simple combination of arugula and endive. The two lettuces alone provide flavor, color, and texture contrasts–the three things a salad yearns for. Halve the endive lengthwise and then slice into little half moons. 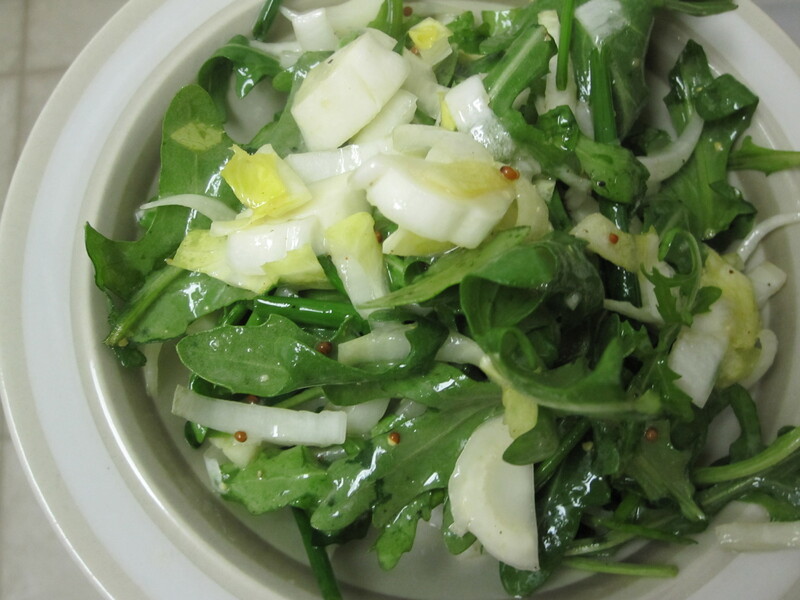 Toss with arugula and a simple dressing of lemon juice, extra-virgin olive oil, mustard, and S & P.